. : In English part 21 :. Diary from December 1st 2016. I am turning back the clock exactly 100 years. Did anything happen in 1917 that had an effect for me? The answer is YES. My mother was born on May 14th that year. 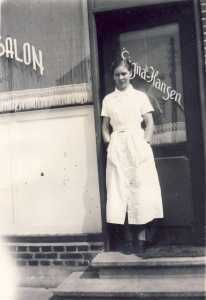 I joined her 23 years later (1940). 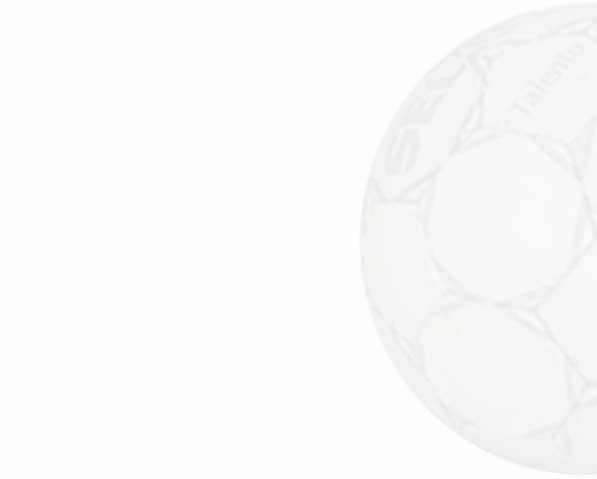 My first sports club, Silkeborg Idrætsforening, was founded on April 26th also in 1917. I joined as a member 31 years later (1948). Of these two major events the former undoubtedly is the most important for me. Incidentally I was born on the 3rd floor of School Street 52. For inscrutable reasons the building still exists. SIF naturally also exists and celebrates the 100th anniversary this spring. I must admit that there were bigger and more important things happening in the big world in 1917 but I shall confine myself to rejoice over the two mentioned. I eat too much for the the time being - far too much. From one lunch to the next. Today, here at home. Family and old friends were here and luckily they brought a good appetite and a good mood. I enjoyed spending time with the nice people and hope they enjoyed it, too. However, I was taking it easy with alcohol today because I have to get up early tomorrow morning. Our car must be hospitalized at The Toyota Hospital in Risskov. It still smokes too much and something definate must be done in the interests of both itself and its surroundings. A tough smoking detox course awaits the poor thing under the guidance of the chief physician himself who for some time has been interested in this particular case. He believes to have diagnosed it. It's been a little difficult for me today. Mixed feelings have confused me. Matron has for some time with her firm voice ordered "Wash caravan". This activity is not among my favorite activities. On the contrary. I hate it. For several days I have used the cool weather as an excuse. Considering my delicate constitution it might have ended badly. But today the excuse did not work anymore. Cloudless sky, almost no wind and reasonable temperatures meant that I had to get started. And here lies "the difficulty". I must admit that I enjoyed the washing. As mentioned the weather was fine, but most importantly, I could see my efforts bore fruit. 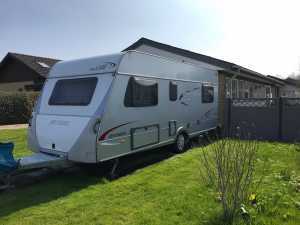 A good shampoo resulted in a shining caravan that now stands gleamingly clean and ready for the debut within a couple of weeks. 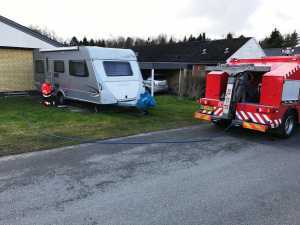 So maybe my longstanding aversion against washing caravans is over. What has the world come to? 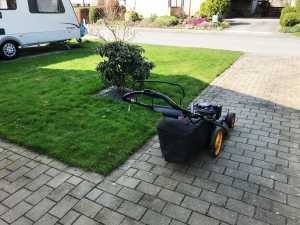 Perhaps one day I shall love mowing our lawn. Matron and I were in Hadsten today. 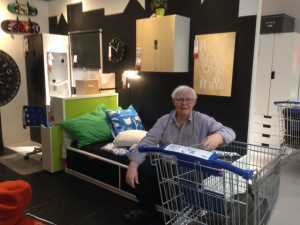 We visited our son Peter at his new job, a DIY. Very nice place. But not everything was nice. At least not on our way there. Because of my inability to be a completely safe driver because of yesterday's excesses the good lady had to take the wheel. It does not worry me, because she is a good and safe driver. She has, however, a vehement temperament, in particular if a car ahead is driving under the speed limit.Then she is in the red zone. Today a vehicle in front drove 55. Speed limit was 70. Wow, she shouted. It turned to the worse when the speed limit ceased and we could go 80. In the roadside was the classic sign "Slow down." Immediately the villain lowered his speed to 50. Then her top blew, what a shouting and what words she used. And I was not the one to say anything. No diary today. 70th birthday. Blood alcohol 4.1%. Cheers and good night. The best memories will recall that I on 26th of March was knocked down by a bus, full dive over a pavement and into a hedge. Not funny. Now I have finished inspecting my delicate body and my bike. Fortunately no defects. 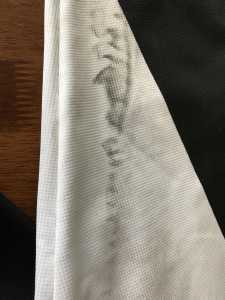 However my precious bike jacket had the chain across it which left some ugly, black oil traces. And we pros can not bike around with oil on the outfit. It is not done. Today I went to a reputable dry cleaning shop that unhesitatingly declared that the oil could not be removed. Therefore, the bus company offered me a new jacket which I will soon buy. My problem is that I want one exactly like it. Hope it is possible. Last day of this round at the Health Center. Tearful goodbyes to my 10 teammates. Together we have worked hard, laughed and sweated and at the evaluation we all agreed that it has been a good experience. We finished with a coffee / tea and a cake that one of the participants had baked. Was it was good? Yes. But maybe not exactly something you see every day at a health center. I succumbed to the temptation and ate a piece. It was the first piece of cake for 10 weeks. Maybe I took as many calories in as I had just got rid of. Never mind. I enjoyed the cake and talking with the others. And never mind once again. I have already lost 6-7 kilos. Now I must find a gym in the vicinity and go on training. I find it odd that I do this since I have spent a long lifetime swearing that I would ever set foot in one. You are permitted to become wiser although I thought it was not possible. 1 time out of 35 is not a lot. But there has to be a beginning. Today I mowed our lawn for the first time in 2017. What a lack of joy it was. On my calendar I can count that I am now missing 34 times. It is a lot. Difficult to grasp. It is my consolation that my strenuous workout in the training center helped me. Apart from some lower back pain I came unscathed and easily through. That did not give more joy. It's still boring as hell. There is not even a joke about mowing. How nice that some people have faith in others. I became aware of that today. I had taken my sweet wife to work and would buy diesel at Q8 on my way home. Suddenly I remembered that my Visa Card is blocked because it has been lost. Then I got a clever idea. I went into a sweet lady at the counter and said that if I filled up and afterwards transferred the money via Molbil Pay, would that be OK? Unfortunately they did not have Mobile Pay. "But I'm paying for you and you can Mobile Pay money to me". I filled up and went into the shop to send money to the sweet lady. BUT. When your Visa Card is blocked, you cannot use Mobile Pay I discovered. There I was, quite paralyzed and could not pay. "Now take it easy," said the lady, "come in and pay some time in the afternoon." That's what I call kindness and helpfulness. Good service. I have paid by now. Oh what a lovely spring day. The sun is shining from an almost cloudless sky. Flowers bloom. Temperatures are well above 15 degrees. Birds are chirping. What more could you wish for a Sunday in April? Get out and enjoy it, you old man. Well well. 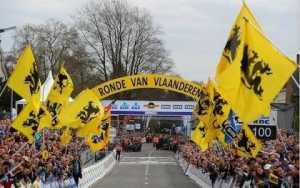 There is a bike race on TV, Tour of Flanders, one of the best spring classics. 260 kilometers. And then the weather may be as it will. I do not move from my couch until the race is over. After that I consider inspecting my trusty bike, cleaning and oiling the chain to make me go out and perform likewise on Danish roads. 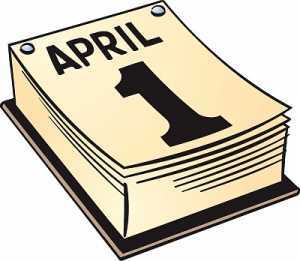 I have (almost) avoided becoming April Fool today. But I have been close. 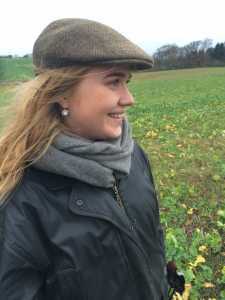 I was closet when granddaughter Cecilie wrote to me and told that she would move to Odense after the summer holidays and continue at a high school there. A friend, Ahmed, had found an apartment for her. I did think that now I had to back her up not giving her too many exhortations and warnings when it dawned to me what date it is. Previously, my brother wrote to me with a message that Word Feud from May 1st would cost 10 kroner per game. I quickly calculated that it would cost a lot of money. I was just about to write back that I would delete my Word Feud account when I found out what it was all about. Luckily I have many years of experience with April Fool. I have often been a victim naive as I am. It will please many and annoy only few that I on today's bike ride was not overthrown by neither buses, cars, pedestrians nor other cyclists. Very comforting. Nevertheless it was an eventful trip. Not only could I rejoice that I was rewarded for my many hours in the fitness center. I was fit as a fiddle. Also weather was at its best. As if that wasn't enough I also ran into a caravan exhibition - and that right at the Aarhus Cathedral. Two caravans were exhibited. Quite a surprise. However, I would not like to tow neither of the two. They were covered with concrete. You do experience things on bike rides. Dramatic events are following me these days. Today Matron and I drove deep into the common market in order to fill up our low stocks. After leaving the first supermarket and moving into the second I found out that I missed my wallet. We seasrched all possible places and even called our neighbor who found out that it was not in our house either. We drove 10 km. back to first supermarket and I happened to remember I had used their toilet. And quite right. The stupid wallet had fallen fallen out of my pocket there. A kind and honest man had found it and given it to the supermarket office. I got it and happily we were drove away leaving many thanks and high fives. Moral: When you've had your pants down at a toilet check where your wallet is. 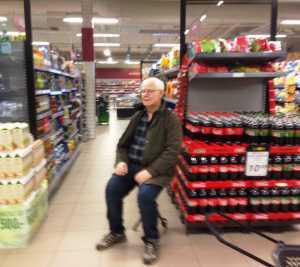 In the picture I am an eager participant in purchases along with my trusty hunting chair. 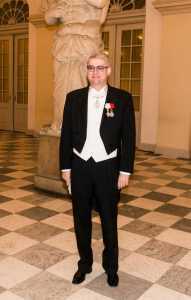 Our tireless education- and research minister Søren Pind made an unfortunate mistake yesterday at the galla banquet in honour of the Belgian royal couple. What a clown he is. 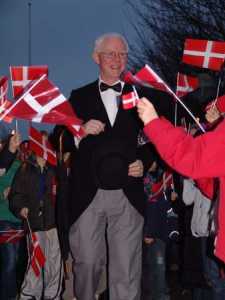 Mr. Pind became "Commander of Dannebrog" some time ago and already had "The Knight's Cross!. So he made a fool of himself by wearing both medals at one time. My goodness. The reason for not carrying both of them is a little hard to understand. However one is finer than the other. Commander's Cross is in first place. Therefore he should have handed the Knight's Cross back long ago. It is inappropriate to wear two orders of varying grades and her majesty must have been deeply shaken. Reportedly, Prince Henry was not shaken. But of course he was not there. He never is. I could very easily have made the same huge error as the minister did. But firstly I I have only got one medal, "Tthe Queen's Medal of Merit in silver" and secondly I wasn't invited. Only God knows why. According to legislation I was 3 days late. 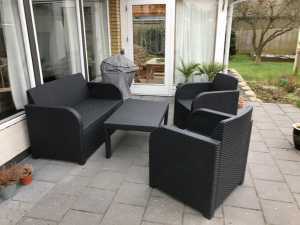 You must put out your garden furniture at the same day as you put your clocks forward for summer timer. It broke the law and didn't have it done till today. The reason is surely plain mockerey but since the point was on the day's work sheet issued by Matron herself there was no way around it. There were another 3 items on the note, collect dog left overs, empty the dishwasher, and fertilize lawns. Everything was done in good time and with great care. I know the requirements. Well, well. I read in an online newspaper that kissing is actually a science in itself. Of course it's been many years since Alexander the Great brought the kiss to Europe. Since then it has been used extensively. But now we must all learn to do it properly. Therefore, a guide is published on how to kiss better. Now we only need courses to be arranged in the noble art of kissing. 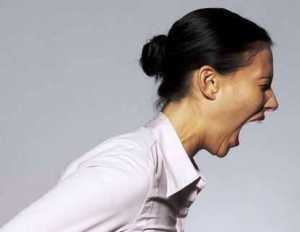 Then the wife can force her husband on the course if she is unhappy with his abilities - or vice versa. Perhaps it is best if they go together. My first bike ride this year was today. It was a mixed bag. With regret I have noted that an antique shop opened less than a kilometer from where we live. It can become a costly affair. The shop is open only on Saturdays. We've been there the last three Saturdays. It costs. Today, a chair that we do not have the space for was brought home. 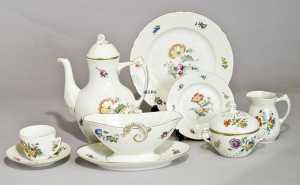 On the way out Matron spotted a dinner- and coffee service (Royal Copenhagen) which costs an awful lot of money. 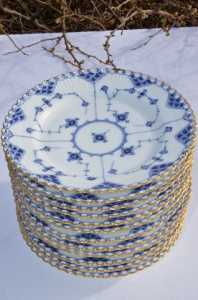 Of course, she modestly declared that of course she wanted to buy the porcelain but obviously not right now. I should not be surprised if we have it next Saturday. Matron and I were at the office "Municipal services" this morning. 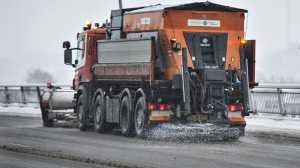 A bad experience which brought old prejudices about grumpy municipal services back to us. We came in order to have the sweet lady's driving license renewed. At a small office two middle-aged ladies sat behind their desks. We entered and were greeted by a wall of silence - and two mouths that turned down. We asked who would take care of us and reluctantly one of them grunted it was her. We got the impression that the two might have a very tedious job. Throughout the session which was extended by a printer that did not work we saw not a single smile on any of their faces - not one. "50 kroner - and only with payment cards", was virtually the only phrase we heard. When we left Matron excused our inconvenience and said good bye. Again not a word. I wish I could find another word for "Citizen Service". "Smiling Service" would be totally wrong. Delightful afternoon. Lunch at good, old dog friends. Nice, nice, nice. Good food, good schnapps and cool lagers. Talk, talk, talk and sing-song, one Christmas song of all. Though not an ordinary one, but one which included all Christmas songs in one song. Efficient. I tried to entertain with one of my songs. No successs, though. Shouts interrupted me. I wonder what was wrong with the song. It was beautiful - I think. However, I mostly notoced the food which was great, not least the Madeira-herrings which miraculously disappeared from the bowl while it stood by me. But all food was 1st class. Thanks for a great afternoon. I accompanied matron to the doctor this morning. She had to go through the mandatory check to get her driving license renewed. We seniors must accept this every second year. She is a tough woman so she passed with flying colors and got me to pay the 430 kroner it costs. Sitting again in the car she received a phone call from a friend who asked where she was and what she was doing. And then came the answer I loved and that got a smile on my face. The good lady replied, "I'm at the doctor's to have measures taken for a new driver's license". 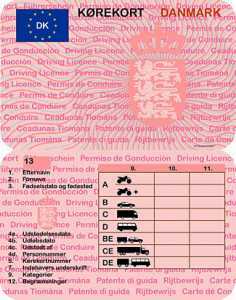 That was a good one I thought and now we just need to pay an additional amount at the town hall before the new driving license will arrivee. And we hope the measures are right. It's been a good day - really good. Now I'm singing even louder. The day started with our car rescuing company arriving with usual precision to fix a faulty valve on our caravan (see also March 17th). Also as usual, it was a mechanic with great knowledge and skill plus smiling and welcoming. In no time he fixed the problem and I stood happily waving good bye. Now we can soon get out and see Denmark. 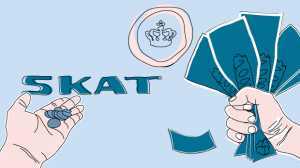 Almost simultaneously I made a call to the tax authorities (SKAT) and got an additional tax reduction amounting to 1,250 kroner. Maybe I also ought mentioning that yesterday I had another piece of good news from the hospital. Yes, it's going well for me for the time being. May it last for a long time. Most people know that I as a boy and young man was a passionate cricketer. I loved it and could not get enough. For some years, I was fortunate enough to play some weeks in England every summer. It made me even more passionate. Right now it's about 35 years since I played my last serious game. It's a long time ago. BUT. I played again last night. Even in the United States that does not have any great cricket tradition. I played really well and scored quite a few runs and got the praise of my father who was also there. Unfortunately, I did not get the result. But we must have won with all the runs I scored. It was a good dream. I wish I could play just one more game. 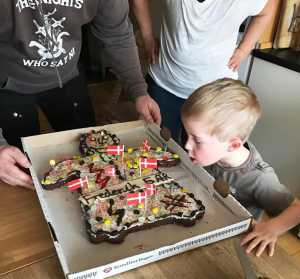 Frederik, youngest grandson, the glorious boy has his birthday today. 5 years. He has looked forward to the day for several weeks and counted days till the party. He could hardly wait. And what happens? He becomes poorly and must spend the first few hours in bed. Not even notified that gifts had arrived got him out of bed. And he is not well at all. But thank God he recovered after a few hours and then the wrapping paper came off in a hurry. Again, his happy smile could be seen and the joy of the gifts was evident. Candle lights should be blown out. It was a good day. How nice to see the little man well again. I and many others have often wanted to win the grand prize in Lotto, just a few million. Until today I thought it would make me happy.. However today I read in an online newspaper that I would be more happy by getting a good, uninterrupted night's sleep of 8 hours. A group of British researchers have discovered this fact. They have analyzed the sleep patterns of 35,000 Britons and found that a better sleep quality gives greater physical and mental pleasure than winning millions. So why the heck should one wish to become a millionaire when a good night's sleep is better and furthermore be disappointed when one doesn't win. I must admit, though, that I still wouldn't mind winning a couple of millions anyway. I'd much rather being unhappy in a Rolls Royce than in a city bus. This is a repeat of my diary of 11th January thiis year. That day I discovered that our caravan had a puncture - left wheel. And annoyingly enough I experienced the same today - this time on the right wheel. If it was not because I have such good experiences with our car rescue company, Falck, I would now be very angry and annoyed. But the 11th of January I learned how easy the problem can be solved. I'll call Falck. 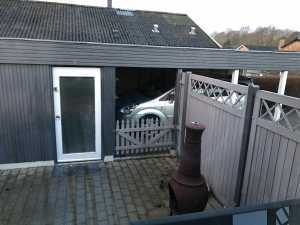 A mechanic will arrive here with a rolling workshop and solve the problem - and it is all included in my subscription. So I called and booked a time for Tuesday morning. And I shall not be the least sorry if the same mechanic will show up. He was just good. Long live Falck. Today we were visited by two of my former colleagues from my old school. Let's call them Hugo and Mogens. They are very nice and pleasant people - and entertaining. So there was a lot of talking and laughing all morning. Some tales were repeats from last we met. But it does not matter, because they are getting better and better with age - as are we. PS: Unfortunately my planned bike ride in the afternoon was canceled because my brother couldn't come. A little annoying. But then I can get in even better shape before we shall go. My workout in the fitness center is still under way for full speed. I lose weight - and am strong as an oxen. I expect soon to be able to see a "six-pack" on my stomach. 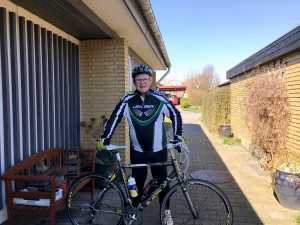 Tomorrow my outdoor cycling season was to begin. I have anxiously followed the weather forecast through the last week. It confused me. Now tonight I have read 3 different ones. All of them more or less agree that the temperature will be about 12-14 degrees. Fine. BUT. The disagreement on the wind is greater, from 7 meters per second to 10. The wind direction also varies from west to south. So I am none the wiser. I am going to bike with my good brother but he is in doubt if he can come. There are many uncertainties with this my first ride this year. I am even well prepared. My physique is sharp, my weight is decreasing. And my bike is made ready, pumped and lubricated. As is clear from the picture my lunch is also ready. So damn it if I cannot ride tomorrow. Today a it's a guessing game. Where is the picture taken? I took it today. It is a place where I come only with a revolver in my back or matron looming behind me. The place is huge. It takes about 3 hours if you walk all the way around. It takes a long time and is very boring. I not pleased with being there and want to get out as soon as possible. The only uplifting thing about the place is that there is a cafeteria where you can sit in peace and quiet and eat. The food is reasonable as long as you stay away from the restaurant's specialty, kötbullar (meat balls). As I said, I was there today. Where is the picture taken? Answers can be sent by e-mail or in my letterbox. The prize we be published later. My sweet wife and I were in central Aarhus today. We had time to look around. There are so many restored and beautiful residential buildings there, a pleasure to look at. You just have to get used to look up when you walk down the streets. That's what we did today but this time with a disappointing result - in Station Street. Midst some reasonably well-kept buildings we came across one that - to say the least - should have been torn down years ago. We were not sure if it is inhabited. If so the rent could not be big. The house has not been painted since sometime in the 30s. Mr. Gorbatjov. Tear down that house. It was the first working day in our garden this year. I've been looking forward to it. Unfortunately, the joy was short lived. Despite warm clothing we had to go in after just half an hour's work. It was too cold. But we have started. 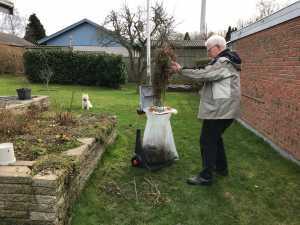 The first withered plants are removed and taken to safety. And I have brought myself in safety in front the TV screen watching the final stage of the bike race Paris-Nice. After all, that is more fun than outdoor activities in the cold we are having now. I shall return to the garden on Thursday. By then it shhould be just below 15 degrees. The dog in the background is a pensioner. When I was in primary and secondary school there was an annual date I always remembered. It was 11th of March. The day today. 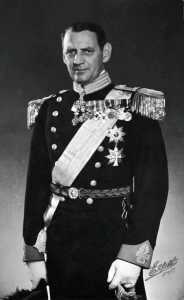 On that day our old King Frederik IX had his birthday. That meant time off from school. I appreciated royal birthdays then. The more days off, the better. The old king was a jovial guy who did not say no to temptations. Neither did he want to appear as a superior and snobbish king. That made him popular among we from the lower classes. 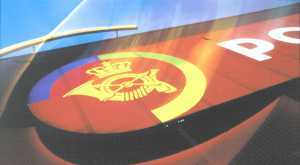 Once, the royal family was visited by a reporter from 'Radio Denmark'. King Frederik showed around in the palace while he chatted about the family's daily life. He wanted it to sound as modest as possible. Among others he quietly said the following royal words , "Well, we do live like any other familiy - and here we have the tapestry-hall". Once again our car was hospitalized. The same symptoms as before. It smokes too much. Another filter was cleaned. With a computer the car-doctor could see when the filter was clean. At the same time the patient got 2 new wipers, an oil change, a new 12 volt contact and made ready so my new phone could be on the Blue Tooth. I had a mega-great experience last night. Along with eldest granddaughter Katrine I was in Aarhus Theatre to see "Erasmus Montanus" in a crazy exciting, interesting and funny setup. I will not begin explaining it but just mention that in the play is included that the first 4 rows were supplied with tomatoes and on a given order they were thrown at the actors. A stark naked Erasmus also appears. Per, Erasmus' brother who is the sensible son arrives on a moped. But the piece which was written in 1723 is quite faithful to the original. You just need to get used to the setup. You'll learn it quickly. 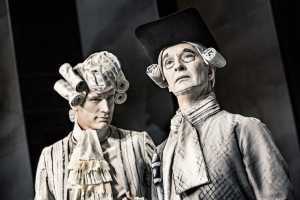 The play was funny, gave a lot of laughing, and sometimes it was interrupted by sustained applause. A good experience and the theatre menu at "Cafe Hack" afterwards was not bad. I was at fitness training today. It's great even though we are whipped through a tough program. Our instructors have an eye on each finger. It looks funny, but they keep a close eye on each of us, so much that I almost feel that I'm getting special education. I shall not place my knees, shoulders or arms much wrong before a sweet instructor falls over me and makes met change my position. Result: It hurts even more. In a way the sweet instructors remind me a little about my sergeants in the army. Only sweeter and prettier. I'm looking forward to the next time on Monday. 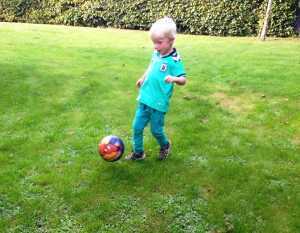 I played football with Frederik today. Outdoors. The temperature was zero but the wind made it feel like minus 5-7 degrees. The wind went through everything. The one who first reaches 10 goals has won the game. I have not yet succeed even if I have been close. 9-10 is my best result. Due to wind and cold, I did not mind losing today - and in a hurry. And so I let some balls pass although I could have saved them. The little guy found out and overruled his own goals. He knows that when he would reach 10 the was over. And he does not want that to happe too quickly. We played for half an hour until I could not move anymore because of the cold while the little fighter ran faster and faster. There's a rematch next Tuesday. The picture is from last autumn, though. I would like to present another old age problem. Not that I regret being old. On the contrary. The alternative is more than annoying. Every morning I sit on the edge of my bed to pull my trousers on. It is a difficult process. I must stoop far forward and down to floor level to get my old legs into my trousers. Often it works fine, albeit difficult. Sometimes, however - for example this morning - it goes all wrong. I happen to get both feet down the same leg. 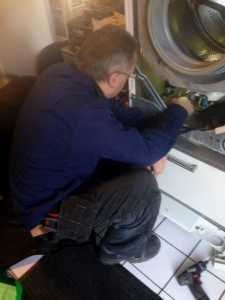 Not only does it look foolish when I stand up but it is also an almost impossible task to get the trousers off again. I do not want to call for Matron to help. She would laugh for at least a quarter of an hour. There is much else I could bear being laughed at about but two legs down in the same trouser's leg would be much too much. There is every reason to pity me. I have caught a cold and have had it for almost 2 weeks. And we're not just talking about a tiny mini-cold but a mammoth one. I who normally never cough have done it for a week, some decent "roars", even at night. I lie awake for the same reason and keep my poor wife awake as well. I can cough for an hour at the time. Had I been a child I would have been happy. By that time I got some cough syrup that tasted like sweets. It was pure enjoyment. 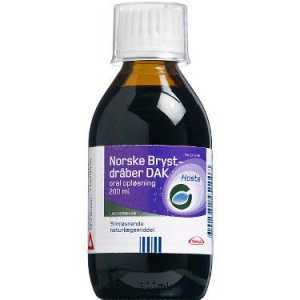 Sometimes I pretended to be coughing just to make my mum buying the very nice cough syrup. I think it was called "Norwegian cough drops." The medicine tasted great although nowadays it is claimed with great emphasis that cough syrup has no effect whatsoever. But at least it tastes well. There's no end to my generosity. 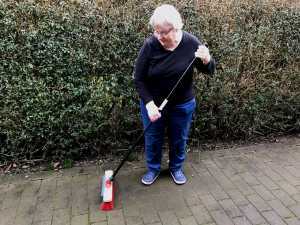 The other day I gave my swwet wife a good lunch and today I gave her a smart broom. She has long wished one. No home with a bit of self-respect can live without it. We did have one already but it is a "man-broom" which the delicate mimosa cannot use. Only I. Therefore, we only rarely had anything swept. That is different from now. A nice broom like the new one - even with a telescopic handle - must be put to work by its rightful owner and I can look forward to being relieved in yet another duty. Now all I need to give her a lightweight lawn mower. Matron has started working again after a well-deserved winter holiday. Today she drove off on her own. However I was still up early, before she left, took picture 1, waited a little and took picture 2 when she had gone. Personally, I think they are brilliant images, progressive and descriptive. And I missed her even though she had a short day and was home by 1 o'clock. It is good to feel when you miss somebody. And there was no work sheet for me. Today, exactly 60 years ago, I met my sweet wife for the first time. It was celebrated today. Unfortunately it is too rare I invite her out. But if I did not do it today I would not know when. 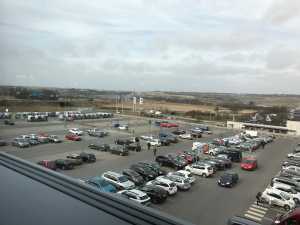 Therefore, we took the day off and had a great buffet lunch in Aarhus. We enjoyed just sitting looking around - and at each other. I still have that magical attractiveness in me. The sweet lady could not keep his eyes off me - like on the 2nd of March 1957 when we first met. It was at a dance in Silkeborg Sports Club. 60 years is a long time - but not too long. Has been 60 good years. 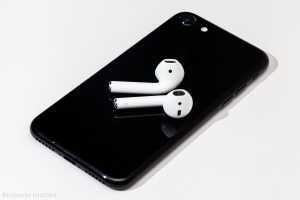 Eventually I got my new phone, an iPhone 7. It was damned expensive. And just now I'm sitting in in my molded sofa and need to install various apps. Unfortunately, the old phone was so damaged that they could not just transfer from one to the other. I thought I probably had the time to do it all manually so I started out wanting to install Word Feud. The start was good until I realized that a password is needed. And I do not know it. It also includes codes to install other apps. and my e-mail. Those I do not have either. It is an unconvincing start. The only thing that works is telephone and messages. It's "International Pancake Day" today. I''ve never heard of it before. 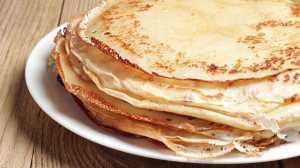 But I've read me that it is an ancient Christian tradition as the Christians in the old days during the last 40 days before Easter could not to eat sugar, eggs and wheat flour, the main ingredients in pancakes. Nor could they drink milk. And when it was 40 days for Easter, like today, you'd better take advantage of the situation and eat pancakes until you were more than full up. 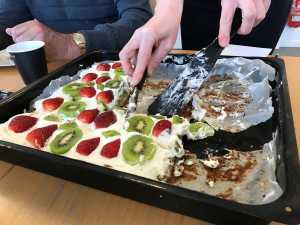 In several European countries, the Netherlands, Germany, Italy and Spain the day is celebrated eating as many pamcakes as you cand, And alsoa carniva often was connected tol the celebrations. 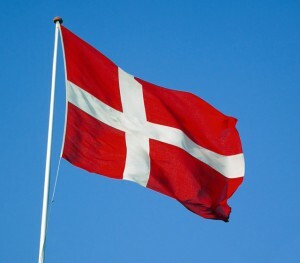 It is claimed that the day also is celebrated in Denmark. I've never heard of it, but I'd love to be groundbreaking for us to celebrate the day. I love pancakes and have done so since I was 4-5 years old. It was the best thing my mother could serve me. Preferably with sugar. And often I was allowed to eat as many as I could. I had a good mum. Damn it.... I'm mad. I had a stupid accident last night just when I was going to sleep. 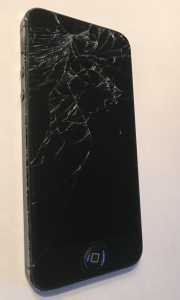 My iPhone fell to the floor with a big bang. It can not be repaired. Consequently I had to visit the nearest "You See" store today. As I was happy and content because Matron had allowed med to buy a new iPhone, a 6S. It should be a true marvel compared to the wrecked 5S I had. So it was a happy and excited Gunnar Rasmussen who came into the store to acquire a smart, new iPhone. But alas. "You See" had a nationwide break down on their computer system. So they couldn't sell a thing - but at least I can get my new phone on Thursday. Now I'm sitting here and can not call anybody and no one can call me and worst of all - I can not play Word Feud any longer. My opponents shall miss me deeply. It will be a difficult time till Thursday. We visited daughter and son in law, Annette and Kent, this morning. They have just returned from a skiing holiday in Austria. They had a great trip, partly because they both are skilled on skis. They're off at least once a year. I wish I could have joined them . Not because I am good on skis, on the contrary. But because the "after sking" appeals to me. It is cheerful and cozy. I can say that because I actually tried. 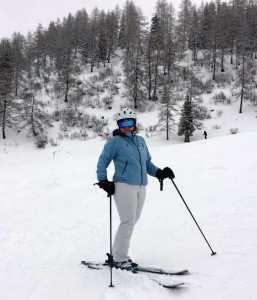 Twice I was in Austria and went skiing - and fell. I was never anything better than "children's slopes". I fell all the time and once my face was a bloody mess. But I was fantastic at the after-skiing. I never felleven if I was a little dizzy. Picture: Annette at a short break. Matron played a home game today. In Randers Handball Arena. A large antique market had aroused her interest. 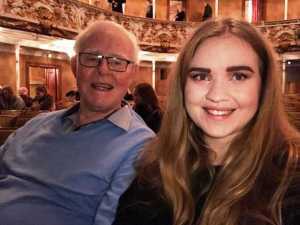 We were both there with granddaughter Cecilie. 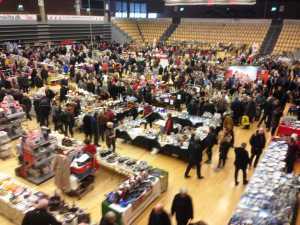 Antique Markets are not my cup of tea so I was allowed to sit on the top spectator row looking out over the large hall filled with people and vendors. It was quite interesting. I selected one person at the time and followed him or her for a while. Some never stopped, just kept walking around between the stalls. Others stopped at most stalls to look or buy. I was glad that neither of them was me. But I wouldn't mind going again, provided it is under the same conditions, a seat in the back row. It was quite amusing and I enjoyed the lunch at a bistro afterwards. Unfortunately I often visit Denmark's best hospital, Aarhus University Hospital. You have to look very long for better hospital. The staff is top of the country in skill and kindness. However, there is one problem, the signs. It has always been difficult to navigate inside the enormous hospital. Consequently the management decided to do something about it. The signs were changed. Just look at the photo to the left. If you are ill you do not have a chance of finding the right place. But if you are thirsty or hungry just turn left. 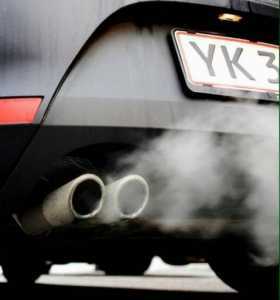 It's after to my liking but a pity if you're ill.
Our car smokes pretty much. I wish it were me. In any case, it has the filthy habit of emitting blue, smelling smoke clouds, so much so that you cannot see the car behind you. You should take it out. It's embarrassing and unhealthy for all of us. I have had the car admitted to hospital for an examination for a chance it would quit smoking. No success. Therefore, I decided along with the chief physician at the car-hospital that now was the time for a comprehensive cure. The car was hospitalized this morning and can be picked up mid-afternoon. Hopefully that wil put an end to the filthy habit of smoking. Now the poor thing is a reconvalescent and must recover in the form of a long drive on the motorway. Old age brings many large and small surprises - and good and bad ones. I have observed a bad one. I can not stand on one leg. Not so many years ago it was a thing you just did. It isn't anymore. I had to admit at to my fitness training. I can only stand on one leg if I am allowed to have some support. I am one of the very few on my team that can not complete the above mentiones exercise out on the floor. I find it embarrassing and have to train this exercise for myself. In return, I'll do the leg pressing with more kilos than anybody else. But the psychic pressure is bigger when I have to stand on one leg. Someone asked me about my cryptic diary content yesterday. I fully understand that. Here is the explanation: I have four weeks been waiting for a couple of hospital examinations which were carried through last week and I've been very nervous about the outcome, you know really very nervous. You can all stretch your arms up in the air in a celebration roar and I would like you not to take them down until sometime in mid-March. Originally I decided never to write about diseases in my diary but this is so huge that I cannot help it. I think I'm happy. Today for the first time ever I shall choose not to write anything. I am quite worn out and my thoughts are somewhere else and I can not make sense of them. I cannot think clearly enough to write anything useful. I do not hope to hear somebody saying that that's the way it is every day. Baking rye bread (black bread) has become a routine for me. Again yesterday and today I have performed miracles and produced a couple of healthy and good loaves out of water, beer, different flours, cracked rye seeds, sunflower seeds, 5-grain mixture - not forgetting the world famous sourdough that we store some of from each baking until it becomes "tired". Without it, no rye bread. I have thought about the name "sourdough" and imagined that it is something like what you see in the picture. At least it is sour. But it gives good results. I am looking forward to tasting freshly baked rye bread, for example with a good cheese. Grandson Frederik was here Friday and Saturday. A lively break in our quiet routine. He's a wonderful boy. He loves playing hide and seek and not leat football - against me. We play at least once a week and i'm a sure looser. He kicks the ball hard and quite precise. We have agreed that no game goes further than 10 goals to one of us. I have never reached 10 goals. Frederik has - in fact every time. My best result is 6 - and that was today. However, we also took time to give Frederik his first reading lesson. I use a book that also our other 3 grandchildren were taught after. 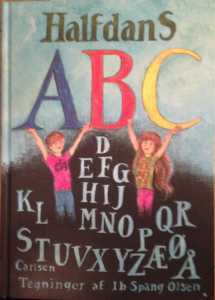 A very popular and good book that has small verses for each letter. The E is about Else so that makes i even more interesting. Frederik enjoyed it, especially the E.
This morning we sat in the car on our way to Randers, grandson Frederik, grandma and grandpa. We had plans for three activities. Firstly a visit at Toys R Us, then McDonald and finally purchase of Kinder Eggs at Hornslet. We told the plans to Frederik who spontaneously exclaimed: "It's a beautiful day." And that it was. Frederick sang with joy before, during and after and had a smashing day. 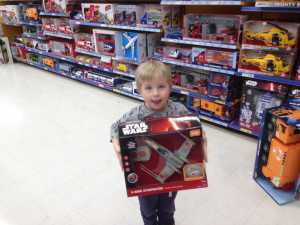 At Toys R us, we have a rule that grandchildren may find one thing they want to have but the price must only be 2 digits. The system was alright 15 years ago when our older grandchildren were much younger. It doesn't work any more. 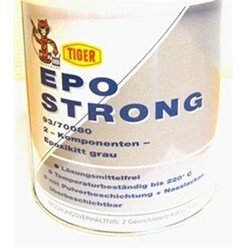 It is almost impossible to find anything as cheap as that. So it became 3-digits. And very popular with its new owner. It has not had a stop all afternoon. 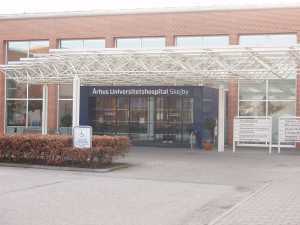 I had a check at the Aarhus University Hospital today. Matron was there too. Again I met a staff that can not be surpassed. Nice, welcoming and helpful. Probably it's never a pleasure to go to a hospital but the friendly staff out there do will everything to make me feel comfortable. A waiting room is often not a very stimulating place. Everybody's ill. Still, we were lucky to meet smiling people. An elderly, chatty lady had placed her bag on a chair and chairs lacked. I asked if I might take the bag's space. Of course, I might. I also asked if she used the bag to hit others. Grinning said certainly not. I confided to her that she did not look like somebody who would do so. Small, funny verbal exchanges also work in a waiting room, and there were several others. That was that experience - and that expense. 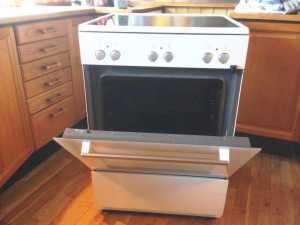 Yesterday, exactly when I finished fixing the oven stood our washing machine broke down. Would not spin, the old thing. 11 years old. Never before has it shown signs of weakness. But now it did. How can a home in 2017 exist without a washing machine. I just ask. It canot not. So right away on the phone phone to contact a good company we know. It sent a very good man today who performed the feat of switching 2 x coal without lifting the devilish heavy machine down. Obviously there was no need for my services for the repair although I generously offered it. Perhaps the good electrician relied more on his own abilities than on mine. I can not blame him. Now it seems the old machine works as it should, and made us very happy. Matron has for two years complained that she could not get the oven door cleaned. It consists of three layers of glass. All were sticky on both sides. The problem was that no one could figure out how to get the door off. I have not even tried because the task was abandoned by so many. But when the sweet lady again today complained of his misfortune and very much wanted to have those fatty streaks removed that were between the glasses, I thought that now I had to mobilize all my technical abilities and get the door off, disassembled, and cleaned. To my surprise, I managed the operation - using the manual. It was almost harder to put it back on again. However, once again my great technical ability revealed it self and everything was in order. I received praise - not too much because you should believe you are something. But after all praise. Give me more difficult tasks. Matron's lap top received its death sentence today. Oh woe, oh woe. 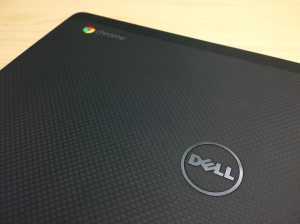 In a third visit to the third computer store we got the same diagnosis for the 3rd time. After crashing from the coffee table and right down on the power plug it was bent. 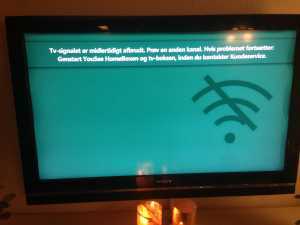 The plug is in the main board it does not easily changed - at least only at a price of not less than 2,500 kroner. And with no guarantee that it will help. So now the beast must be killed. It must be done in a human way with a screwdriver and a hammer. I am afraid that I may have to carry out the execution myself. Matron is unlikely to attend her faithful friend for several years now goimg to the eternal computing fields. I was pleasantly surprised this morning by my sweet wife. She came to me with a cool glass of smothie. Straw and all. A great way to be awakened. Breakfast in bed. I must admit that for a moment I thought something must behind it. I wondered if she had seen any textiles she wanted? She knew there was more money in my account than on hers. Or would she have me join her at a supermarket attack? Not kind thoughts. I know. Luckily, I soon could put my ugly thoughts away. She just wanted to try out her first smothie. We must be on the trend. We hate not to follow fashion. She is good at me. I'd love to take another trip down memory lane. 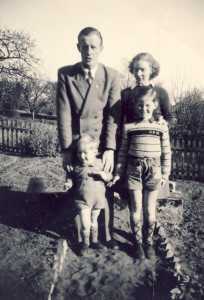 This time back to 1948 when a boy was a boy, and the rule said, "From 1st of May, shorts - whatever the weather." This picture was taken on 1st of May May. We are visiting grandma. My uncle Svend who was the only one in the family who possesed a camera took the photo. To my mind several important observations can be made. In the front younger brother Kjeld and myself. At the back of course mom and dad. Just notice Kjeld. Wow, he looks a nuisance and he was. My father has to hold him back. Kjeld spent most of his time annoying me - could not get tired of it. So I had to just sort him out. I tried many times. Look at my sweater which my mother knitted. I remember it well. On my chest is "GFR", Gunnar Fosgerau Rasmussen. I was enormously proud of it. Mother was a very pretty woman and father a handsome guy. It is from them I have inherited my extremely good looks. 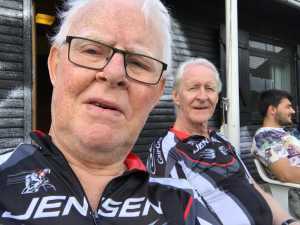 Kjeld has stopped teasing - at long last. He has become 70. So not too soon. I had a blood test taken today. On the huge Aarhus University Hospital. 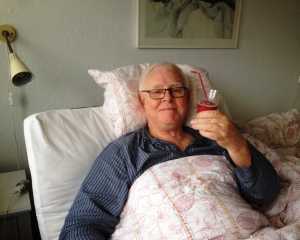 As I'd had it done so often a transfusion is soon needed. It has always been difficult to find around inside the hospital, very hard. Once you are inside the door on the picture, you are lost. Today I was to go to a clinics I know. So it should be no problem. But it had been moved. Now we had to find the ight place, whew. On the way we met a hospital porter at one of these electric carts. He was talking to a passenger on the back seat and told that it was hopeless to find your way in the hospital. The signage is incomprehensible. And he is there every day and has to transport patients around the buildings. How are we to find our way, then? So I could not ask him. By chance we found the clinica for blood tests. I sensed I caused a stir in our local Coop today. 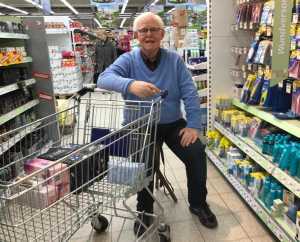 When we got to the store I asked Matron whether we were to have one or two bags with us for the purchases. When the answer was two I was in no doubt that it could be lengthy. Therefore I brought my hunting chair which is always in the car. It is good to have when you have to wait much. And that often happens. Several customers worriedly asked worried if I was very tired, others smiled, and some just stared in wonder at the old man on the chair. One said it was an excellent idea. He would consider it, only with a folding chair. That would arouse even more attention. The basic idea is good, however. At the risk of boring my kind readers I have to tell about my number 2 visit to the gym. I cant help it. Also the stretching exercises with two meters long and elastic rubber strips were extremely hard. I do not remember having sweated so much in five quarters of an hour as I did today. But we enjoyed ourselves, lots of laughter. And the coach is super. And I've lost three kilograms. That's it. Winter is planning an assault. Confound it. I disapprove. However, I know of one who welcomes its arrival, youngest grandson Frederik. I hate the snow and cold as much as I hate the heat. I'm not easy to please. Weather prophets are tough, just look picture of the weather for the next week. That's what the weather man can offer. I grieve and go to bed until March 31st. It was a good experience. Skilled instructors. And I tell you sweat poured out. Good and thorough warming up, then weight training, interrupted only by individual instruction of all "machines", ending with balance exercises. I cannot stand on one foot any longer. Despite that all was good. You could feel your muscles being used. One hour and a quarter without any breaks. However, almost the best thing was that in the team were several peoplewho have a good sense of humor. No doubt there are even more but I did not have the opportunity of talking to everyone. That will come. The whole experience was exactly as good as I hoped it would be. I am looking forward to next time - on Wednesday, for even more efforts, even more sweat and even more of this subsequent pleasant feeling. I'm quite happy. We invited guests for lunch today, daughter in law Anette, son Peter and grandson Frederik. It was not without ulterior motive. We are so evil. Work had to be done, something that we oldies cannot do. Anette hoovered, washed and scrubbed all over the house. 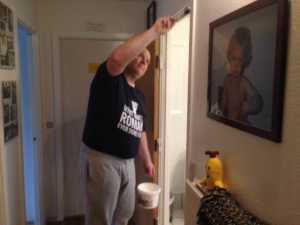 Peter washed the floors, and most importantly he painted. It was much needed. How wonderful it was to have it all done. We felt a lot better afterwards. 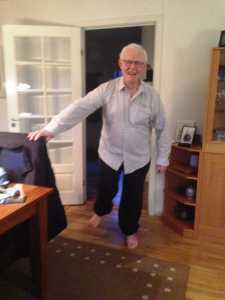 Frederik played football against granddad who lost 10-1. Both my legs are cold. Frederik's are not. I was bombarded. I do not make many discoveries. And the few I make are not groundbreaking for anyone or anything. However, maybe I've now got something that will make me noticed. I have discovered that a majority of license plates begin with letter A. Every time I'm in a car I can not help reading license plates of cars. As late as today when we drove to Silkeborg I observed that more than half of all cars apparently have license plates beginning with precisely A.
I have no idea what I should use this knowledge for. Sometimes I feel it like a kind of a mania looking at license plates. It can not be healthy getting disappointed when you meet a car with a different initial letter. Be careful you do not make the same mistake as I. And - do not tell others about this my eccentricity. They might get strange ideas about me. I had a chat with brother Kjeld the other day. He is very keen on the coming bike season and considers buying a new and very up-to-date racer, carbon and all that. He'll buy it soon he says. So he is also keen on planning coming rides. I am also keen but fear that my old body cannot take it. On Monday I am going to start working out at a fitness center. That will be my first test. Should be the basis of a much better form than now. I'm already sweating by the mere thought. 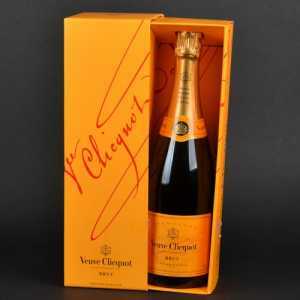 It is extremely rare i drink "The yellow widow" Veuve Clicquot Champagne) although I like it very much. Today, however, I decided to enjoy a bottle of the above mentioned with a tapas lunch strongly supported by yellow widow + other good drinks. I become so happy when celebrating my brother because he deserves it very much. Unfortunately, it may take some time until the widow will be visiting us again. But she is heartily welcome. 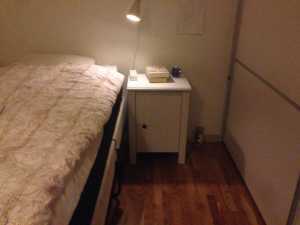 As remembered, we yesterday bought two bedside tables at IKEA. Only when we collected them it painfully became clear to me that they were to be assembled. Had not given that a thoughtt. However the order was that it MUST be today. I knew on beforehand that I could not manage ii. But no mercy. "Assemble them." Luckily we got guests for a small improvised lunch and, without any ulterior motives, I told about my anguish with the annoying bedside tables. And immediately kind Lars offered to do the job. He was sure he could easily fix them. And he could. Wow, was I happy when I saw him work. I guarantee that I NEVER had done it. I'd shoutingly and screamingly have thrown it all into a corner and have given up. I was more than happy that our two guests came by. A ton load slipped from my shoulders. It has not been a good day. My hip started aching after several painless days. And I'm not a second in doubt about the cause. 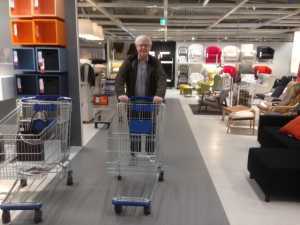 I was persuaded/forced to a visit to IKEA, this dreadful and endless place. We had to buy a pair of bedside tables. It cost a walk all the way around in the huge store. Four kilometers we walked and it was far more than my otherwise painless hip could cope with. Four kilometers. It was horrible - and boring. And took a very long time. To make matters worse Matron kept finding things that we couldn't under any circumstance live without. I shall hereby appoint this day to a minus-day. Matron and I are very interested in antiques. That's why she loves me. Consequently we watch quite a few TV programs about antiques and flea markets together. Some of them are interesting. I have been caught by them. It may mean that when we are invited out for a meal or coffee I've got the habit of lifting plates and cups looking for the marks printed on the bottom of them. I think it's a little embarrassing,so I look briskly around and when I think myself unseen I quickly lift the porcelain and look. It would be a bit embarrassing if I'm caught. Maybe someone would think I'm planning burglary. 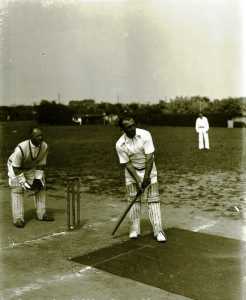 Pointlesly I sat looking at "Facebook Old Aarhus" when I happened to come across a photoe of a cricket match in 1939. It took place on "Gallows Hill" in Aarhus where the city's hangings once took place. 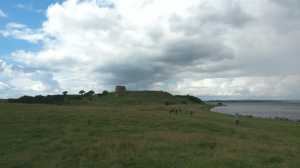 "Gallows Hill" was at the university campus, about where The Steno Museum is now. As can be seen it was a ground that could not be accepted today. Very rough, very dangerous. You had no idea how the ball would pitch and you could fall and break both arms and legs. The equipment looks miserable. Clubs had a bad ecconomy. No gloves for the batsman and I notice the black belt buckles. Unimaginable today. I've played one game at "Gallows Hill" in the mid-1950s against Aarhus Olympia. By then the ground was not much better but the gallows were removed though. Today is exactly 12 years since I retired, the 28th of January 2005. It was from The Jellebakke School now The Ellevang School. I remember the day as a great day for me. I was dressed in the best of English style. The whole school, all children and adults celebrated me. That's how happy they were for my departure. The school was really engaged, 750 children and over 100 adults. I think I said hello to all of them during the day, ending with a farewell reception, with many speeches and gifts. I had never tried anything like that before - nor since. It was moving. The best part is that I believe to remember everything from that particular day. In turn I do not remember everything from the previous 34 years at the school. But if anyone is interested, I can tell quite a lot of tales, true and not true. It was no good. It was especially hard for my sweet wife. We had long been looking forward to visiting friends on Mols for lunch today. I know from experience that it would be a super lunch. However, we unfortunately had to turn around after only 5-6 kilometers because the sweet lady's back pain became too much. Things like that unfortunately happen. We drove home and right now (at. 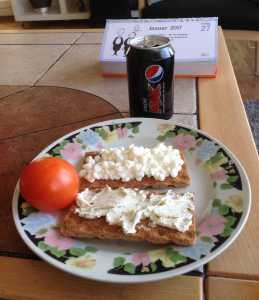 13:30) we are sitting with our crispbread and cottage cheese. Undeniably a difference from what was on the menu at Mols. Never mind though, as long as the pain soon will disappear all is well. Perhaps my dietician will rejoice if she has sadistic tendencies. Oh well. I might as well confess. Another day with brunch. This time at a restaurant by the river in Aarhus. I still have to think of my dietitian when I eat. I see her for me every time there is food on the table. There were 3 different brunches to choose from. They were called "The First One", "The Second One", and "The Healthy One". Of course I had to choose "The Healthy One". It was rather good but not the best brunch I've had. One must suffer to loose weight. Never mind. We needed to get out a bit. And it's so rare that we go into Central Aarhus. We looked in vain for trams. Wonder what will happen tomorrow. This morning we had a really nice and cozy brunch at eldest granddaughter Katrine in Aarhus. She doesn't know all the good she can do for us. Among other goodies she had baked some gorgeous muffins. And there I sat with my just started diet controlled by my dietician and all. As you probably understand I actually took one of the muffins. Promise me not to tell her if you meet her. She is easily recognized, very slim and blond. We laughed a lot while eating with Katrine, so much that tears ran. Not at the cakes, but at a lot else. We left laughing. We are having a birthday in our family today. We celebrated it last weekend. It's eldest son Peter's birthday and it has been so on this date for the past 46 years. He has not always been that old. 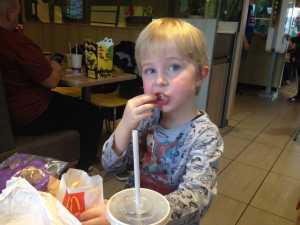 As the photo shows he once was 4 years old. With the rest of our family he was at a birthday party at grandma and grandpa in Silkeborg so their "a little" overweight labrador should be in the picture, too. I was at my dietician's today. For the first time in my long life. I have found it necessary as my diet pyramid consists of only fattening food, and my fighting weight was somewhat too big. I do not reveal the figure, but try guessing. Whoever comes closest to 130 kilos wins. I met a sweet and friendly young girl who seemed very competent. From her I got some good advice, initially in particular on the amount of food at each main meal but she also stressed snack meals. 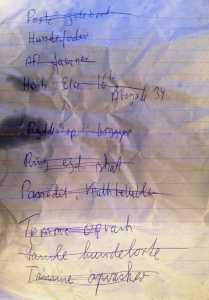 I got a long list of small meals, that are to be taken mid-morning (if I'm up) and mid-afternoon. Two meals more than I usually get. Although I am by nature a pessimist I managed to gain a bit of optimism. I shall meet with her again in a month. We both sit here side by side on our sofa. Nice. Outside it is darkening. We are watching handball on TV, Denmark versus Hungary, decisive match in the World Cup tournament. That is, we do so not. Within the first 5-6 minutes, Denmark went behind with 3-4 goals. Matron's nerves cannot take the pressure. She curses loudly over each individual player, and she switches quickly to a different channel with something quite different. Well, in that case I should patient. Once again, I had to realize that with a good lunch with fantastic food like we had at old dog friends in Æbeltoft today follows beer and schnapps. It is a good habit that should not be left out. As usual I ate well - everything was so tasty - while I simultaneously was tempted by one particular of the so-called friends to also taste quite a part of the alcohlic beverages. Every time I sit next to him for a lunch I get dizzy. I wonder what causes it. I even broke out in song but that was not fine enough for the honored guests. I left the place with a BAC of 4. Matron drove home. Old Sydney was at the vet today. Absolutely nothing drastic. He had to have his claws cut. As always, he takes things in the stride. He was more interested in the vet's dog biscuits than in anything else. Certainly I had a leash on him and was supposed to hold him while the vet crawled around on the floor cutting. However the cord was completely unnecessary. 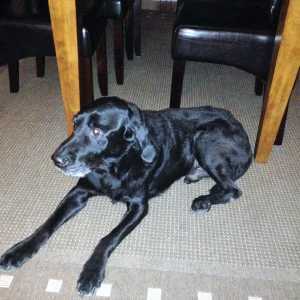 The old dog stayed on the spot until he spotted a handful of dog biscuits left on the floor a short distance away. The cutting had to stop for a moment while the biscuits disappeared like lightning. Good, old Sydney. My trusty dog. Today I climbed another step upwards in my education as a gourmet chef. I was allowed to learn how to chop white cabbage. 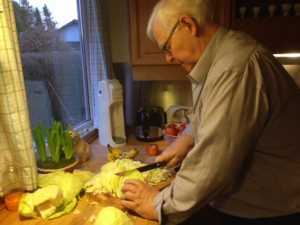 Among others I learned that it matters in which direction you slice the cabbage if you want strips to come out of it. And we did. That I did not know. I did my very best and was praised a bit. I was not allowed to chop the carrots. That will be in a later lesson. 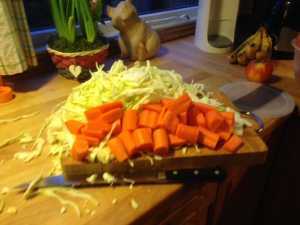 As can be seen cabbage and carrots were in big amounts. We have invited two rabbits and a horse to share the meal with us. Bon appetit. My sweet wife and I went for a drive in our car this afternoon - out in the blue. We rarely do that and perhaps that's a shame. We agreed that to go to a place where we could just sit in the car looking over some water, quietly. Our overworked brains needed rest. And they got it. We went to the Kaloe Castle Ruin. For half an hour we sat looking at the water, beach and sky without talking much. Silent recharging.The weather was a little hazy but I could still feel my tired brain beginning to respond positively. I am sure that the same was the case for Else. So now we are ready to meet the tough everyday anew. Just come on everyday! Spring is approaching. Maybe not temperature wise, but cycling race-wise. 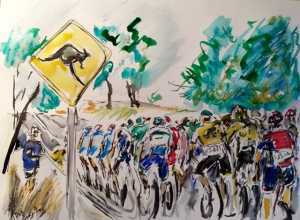 "Tour Down Under" has started in South Australia and runs for a week. I shall watch it all. I have been looking forward to the season start. And what a start. The beleaguered riders are riding in 45 degrees and suffer enormously. When I think of how I feel in 25 degrees so I can only admire the effort. And they ride faster and longer than I shall ever do. The organizers have shortened the stage with 25 km. I've never done that, regardless of temperatures. 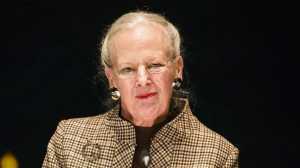 Our Queenly Majesty, Margrethe, again blames a group of Danes. It suits her. Today I read in the press that she is not keen on the selfishness of people living in Copenhagen. Who is? She reminds us that Denmark is more than Copenhagen. I wonder if she was surprised when she found out. 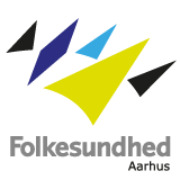 Among others she emphasizes Aarhus that has been appointed European Capital of Culture in 2017. The Queen is patron of the project. I must admit I'm not quite sure what it is all about and what will happen but do understand that part of it is beer - to bind the 20 daily events together. 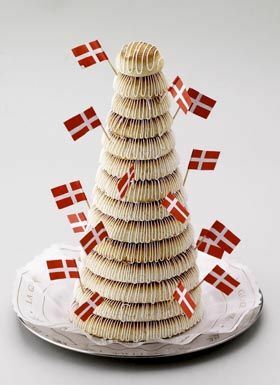 All Aarhus bars and restaurants are looking forward to the celebratgions. CHEERS. Through all of my years I have had to recognize that cooking is not one of my core skills. Perhaps because the interest is minimal - maybe even less. I have tried now and then but never with any success unless it was heating something and cook some pasta. It went reasonably well almost every time and I got ambitions. I am now being trained in baking rye bread, a very nice and grain filled loaf. 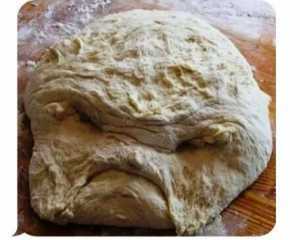 I have come so far as to stir the dough, a trusted job. In the coming week I shall expect to be allowed to pour the ingredients in the large dish myself. That will be great. My next goal is learning to boil an egg. It may take some time to learn it. But ambitions are there. As you may know I am not keen on handball. It bores me. The World Cup for men is on right now and in spite of my thoughts on handball something happened that brought me in the red zone. One of our very best players can only play if the opposing teams allow him to because of an elbow pad. In other words: The opponents are part of the decision of whom is in our team. Thought Experiment: England's Premiership. The very best player, let's say Zlatan, uses a similar pad. Now Man United must phone to all other Premier League teams and ask them to allow Zlatan to play against them. There will be many "no's". It's unthinkable to happen. If the pad is prohibited make it clear to the players - and not the day before a match. It only convinces me even more that handball is stupid - also at executive level. I was at the hearing center today to get the last free servicing on my hearing aid. Actually I thought I needed a new one. Again, I experienced a firm with an excellent service. The aid was checked from A to Z and was fine-tuned to make me hear better. So you may well save whispering near me. I shall hear it. After all I was satisfied with the result but could not help asking the kind man why a new device was unnecessary. He threw a quick glance at my "hearing curve" and said that the hearing in my right ear almost could not be any worse. So it would not help. Thanks very much. Well, I am very pleased the fine tuning helped a little. When I got home Matron asked if my hearing had godt any better. "A quarter to three," I replied. Today is pure nostalgia. 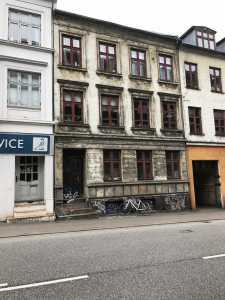 My old soldier friend, 82 Kruse, Loegstoer sent me a picture of our old radio station from our time together in The Jutland Telegraph Regiment 1963-64. It is a so-called B-station, a left over from 2nd World War. It was pretty useless, had difficulty keeping in contact with other stations, especially at night, a huge monstrosity. As a radio station a zero. Range: Usually no more than 5 km. But we didn't know better. Both Kruse and I were in charge of the vehicle but not simultaneously. I was first. Our job was to drive the car and the maintenance. Neither of us were good at it, especially not the latter. But we have a lot of fun, good and bad experiences with it. The car was an old Bedford, RHD and horribly noisy. You could not have a conversation in the cabin. On the other hand it was reasonable warm in there, we more or less sat on top of the engine. Lucky, we did not go to war with it. We would have lost. 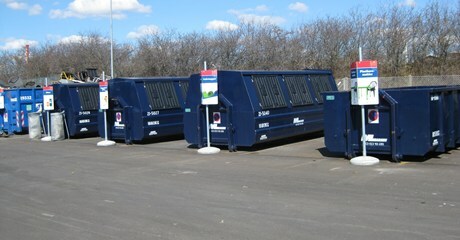 Yesterday we were visited by our car savings company, 'Falck' here at our address. 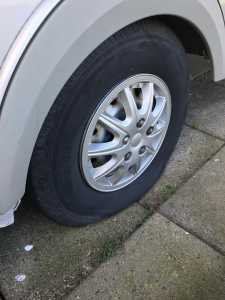 The best memories will recall that our faithful caravan had a puncture, you know completely flat. It has been so for some time. Luckily it did not happen on the road. 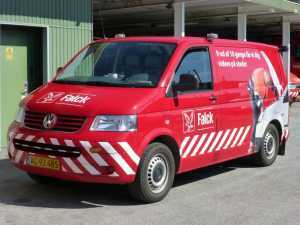 Son Peter made us aware that the repair was covered by our Falck subscription. We did not know but it was correct. So a Falck rescue officer of the very best kind, friendly, welcoming - and not least technically skilled - arrived. He came in a rolling workshop. His name is Ole. Quick as a flash he found out that it was the valve that was defective. Quickly he changed it. I stood watching. It was a pleasure - as always - to watch a skilled craftsman doing his job. 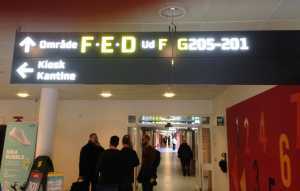 I will send an email to Falck and recommend that Ole will have a pay rise. He deserves it. It happened again, damn it. Unbelievable. I should know better. 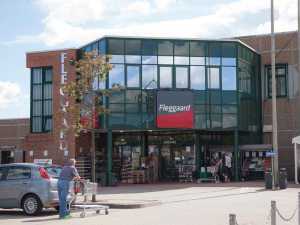 This morning Matron and I once again went to the clothing store in Roende to pick up the two pairs of trousers we bought the other day, now with shorter legs. We had already paid for it so it was just a matter of picking up the textiles. How could I be so stupid to think that was all? We came away with additional clothes. Two expensive shirts. I could not stop neither Matron nor the young man in the shop. The two must have conceived the plot together. Problem: I was fooled once again. Matron has a long working day today. Met at 8 am and will be home at 7 p.m.. She is a brave woman who does everythig to do her job. She even hs a bad back. I admire her very much. Consequently, I have been alone at home. That's OK. I had expected a long work sheet lying on the kitchen table when I got up. I hardly dared to leave the warm duvet. Finally, I crept out to face the shock. And I got it. There were no note. Repeat. NONE. It was great so I rushed out and cleaned up my workshop, a much-needed and long-lasting cleanup. Wildness now caught me so I continued by moving our garden table into safety after the latest storm and ended going for a nice long walk with the dogs. 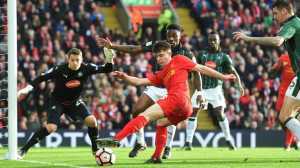 I spent a little time this afternoon watching Liverpool vs Plymouth. For my life I cannot understad how a premier leauge team cannot beat a team 3 divisions under. I know that some people say that this is one of the fascinations about football. I do not agree. We are talking about proffessional players who are paid millions of pounds for their job. There's no fascination in seeing them playing a lousy game and draw against Plymouth. Shame on Liverpool. You'll walk alone. My favorite sports commentator (bike races), Dennis Ritter, has given himself a "small" problem. In order to keep a promise he will become very, very tired. Just look. During the Summer Olympics, he happened to promise that if not a certain Almaz Ayana would win the 5000 meter race he would bike from his home to the starting point of the Tour de France 2017. She did win so Dennis had an unfulfilled promise. Luckily for him the start of the tour is not in southern Italy but in Dusseldorf, "only" 737 kilometers away. I am sure he will do it. He is tough. I would love to ride with him. 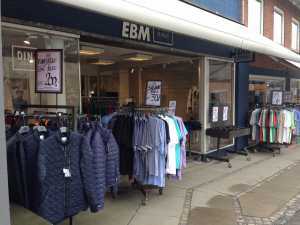 I was dressed yesterday at a men's clothing shop - much more than necessary. For Christmas I got a gift, a voucher for the purchase of a pair of pajamas. Now it was time to have it exchanged which should be in Roende. We know the store well, bought all my clothes there for several years and I know that I must be careful. They can sell sand in the Sahara - well supported by Matron. Often we come there to buy a few handkerchiefs and typically go away with two pairs of trousers, a sweater and a couple of T-shirts. And it is not I who want this mammoth shopping. It is awfully expensive. Again yesterday it went wrong. The pajamas was supplemented by no less than two pairs of trousers. It was awfully expensive. I must be strong and buy my clothes myself. The following question is of course purely hypothetical. But an interesting calculation. As a starting point. Early in the evening I have 5 small marzipan bars. Before going to bed, I have eaten 3 of them. How many calories have I saved. Each bar contains 52.5 calories? Of course the answer is 105 calories. Each bar also contains 3.2 grams of fat, so I'll save 6.4 grams of the nasty stuff. Overall quite pleasing. Now remove the hypothetical part of it. Be realistic. I could not dream of leavng 2 marzipan bars out of 5. I've tried, but it did not work. Of course the same calculation can be done with ginger roots. But that's dead boring. Matron and I were among the many thousand who were affected by the national TV-breakdown New Year's Eve. Enough about that. Such accidents may occur and my guess is that we shall survive even a New Year's Eve without TV. The company naturally deeply regrets the overall breakdown and has now come up with the compensation we can expect. A free movie channel for the rest of the month and 250 free movies. That does not make me break out in cheers. I already have the movie channel mentioned. Got it costless last summer. Never watch it. As a whole I do not watch movies, only very few and they are not included in the 250. So the compensation is not worth anything us. I would much rather see some cool cash. That I understand. I ran Matron to work this morning, at 7:15. Right at my best bedtime. It's a problem. But I shall do it anyway, in spite of the early hour for she is not happy with driving in the dark, and especially not in the dense morning traffic into Aarhus. And it's hard to find parking space. Another problem is that I am very moody and silent at that time of day whereas the sweet lady wants to talk about everything. I answer with some vague grunts and nodding or shaking my head. It is not kind of me. It must stop. But if she just was to meet at 11 o'clock the problem woukd be solved. Next, it is home to breakfast and the work sheet. 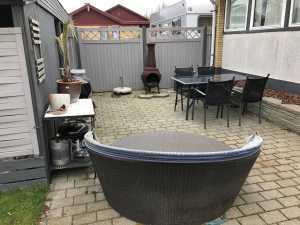 Today there were 3 items: Vacuum clean, do the beds, carry garbage bag into the waste shed and clean the lawn for dog left overs. "But there are four", I hear you say. You're right. Doing the beds should have been there, it was not so I acted reflexively. I am a member of several facebook groups. 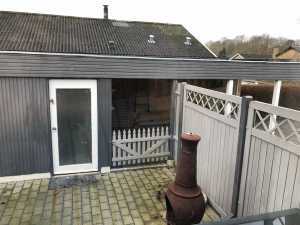 Two of them are similar in that the one is about the old Silkeborg and another is on the old Aarhus. At the latter I found a picture that I could not resist. When I was a child, people talked a lot about "railcars". The ones I saw did not remind me of buses, but of passenger trains. Look at the picture. If it is not a true "rail bus" I do not know when to use that word. The bus is built by Triangle in Odense in 1919 to Danish State Railroads on the Aarhus-Brabrand route. 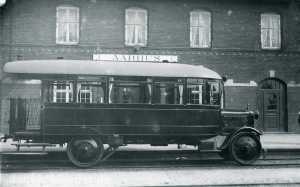 The bus was too small so it was sold to Hammel that used it on the Hammel-Thorsø Circuit. Here it was too large and was resold. I love pictures of this sort. And there we sat, Matron and I. New Years Eve. Due to a friend's illness we were alone - for the first time for many years. The plan was having good food - we got that. Next TV - we didn't get that. Downbreak. We enjoyed ourselves anyway. Watched a bit of video, talked, ate a little more, drank a little more (non-alcoholic champagne and white wine). It was a very nice evening. Went outside at 0:10 to watch the fireworks. Not a rocket in the air. Went back in and at 0:15 it all broke loose. We had sat down so it was like TV. Didn't see it. Happy new year - especially to our TV-company 'YouSee' who needs it. I would like to wish you a all really Happy New Year with thanks for your interest in my silly diary. 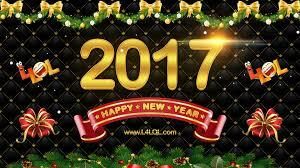 I hope that 2017 will give you lots of good experiences of all kinds. Tonight you must celebrate New Year properly. Eat well and drink sensibly - like me. Remember goggles and gloves when you need to send rockets and other explosives off. Do not swim out too far if you are to have your New Year swim. I only swim along the beach myself. New Year's resolutions? I have read that our brains do not love them. So I haven't got any. However, I might think of one, I would like to start smoking again. But probably I shall not keep that resolution either. On this penultimate day of 2016 I have dared reviewing the annual results for my bike rides. It is sad reading, sadder than ever. I grieve, I'm embarrassed. 848 kilometers. Not one kilometer was ridden in January, November, and December. That's as it may be but in February, March, and April, I was never rode more than 50 kilometers per. month. The record was May with 175 kilometers. Excuses are cueing up but mainly it was weather, too much wind and rain. 848 kilometers in total, Hmmpf. The aim was 2,000. 1152 kilometers missing. Embarasing. If it does not improve in 2017 the local council must intervene. 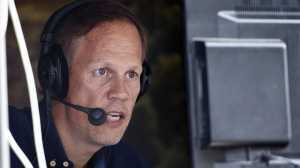 Bjarne Riis has expressed his deep disappointment and sent many reproaches. There goes the Giro, Tour, and Vuelta. I have to settle for "Around a local lake", "Tour d'un Lac Local". It's Matron's and my wedding anniversary today. For exactly 54 years we have been together. Since 1962. For incomprehensible reasons she claims that I am better married than she. I do not understand it. I do all I'm asked to do. All work sheets are carefully followed but maybe I'm about to exceed a limit which will not be welcomed by the sweet lady. I am considering a rebellion. The peasants' rebellion against the nobles. I shall now and then fail to do some of the jobs. After 54 years that should be allowed. Well, well. Joking aside. I am very happy and grateful to have been one half of the 54-year marriage. Not many vouchsafed. She is a wonderfull woman who is loved by everybody. The photo shows The Mariehoej Church in Silkeborg where it all started. The picture is from about 1962. Congratulations to both of us. 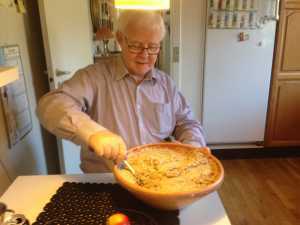 Today I was asked by granddaughter Cecilie why you actually eat the famous Danish marzipan cake built up by rings at festive occasions. I replied that they look festive, often decorated with Danish flags and as a fitting end to a hopefully good dinner. 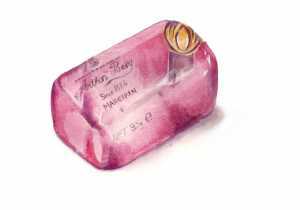 I think that almost everyone likes it with its sweet almond- and marzipan taste. I certainly like it very much. 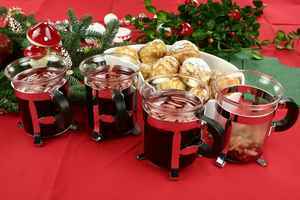 I could not help googling a bit about the subject and found out that it is a Scandinavian tradition. 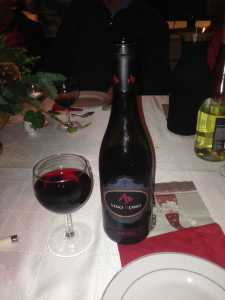 It is typically served at New Year's Eve, weddings and communions. I've never seen it served on Christmas Eve. Thus well informed, I am looking forward to New Year's Eve. Normally I'm not keen on Christmas punch. However, on yesterday's hunt I had an excellent one, really tasty. When today I walked around in a local supermarket the desire for another glass suddenly hit me. Therefore I bought a carton of 1 liter ready-mixed Christmas Punch, drove home, warmed iy up, and drank it. Quite clearly it was not so good as the homemade punch from yesterday but quite good for my major cold. And that is also worth a word or two. It broke out late on Christmas Eve and has tormented me ever since. I have been coughing and sneezing. I do not feel well, in fact very, very bad, heavy-headed and constantly with a handkerchief in front of my nose. I feel weak all over my poor body. I've almost lost my appetite. It's all so hard to get through. However, I suffer in absolute silence. Nobody should say about me that I can not cope with a mammoth-cold. Of course I can. It's been a sad day for me. 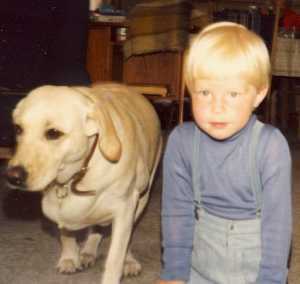 I'was on my last hunt at all at the Moellerup Estate. 41 hunting seasons all in all. When I go hunting, it is only with my dog - no gun. If my hip behaved a little better I might continue. Even when I drove off this morning I was a tiny bit unsure whether I should stop or not but as the day progressed I became sure that I should. The old hip showed its worst side. 41 wonderful seasons with a myriad of small and big experiences out there in nature and in the company of the nicest dog handlers are over. My gratitude for having experienced it all is great. At the same time my trusty dog Sydney retired. He 'only' had 10 seasons. I shall probably not stay completely away. Next year I'll show up and be on the sideline devoid of responsibilities. I am looking forward to that, too. 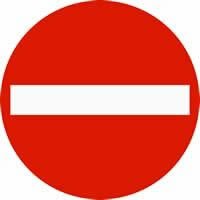 When Matron and I last night drove home from a really nice Christmas Eve we could easily agree that today we should o dabsolutely nothing. It's good to go to bed with that knowledge in one's mind. It was late. A little midnight snack, a little TV, a little small talk made time pass so it was 2 before we went to bed. In turn, we did not get up till 12 noon And we have done nothing - well. I made the beds and the sweet lady made lunch. Otherwise nothing. Absolutely wonderful. A nap in the sofa now and then at appropriate intervals was lovely. Christmas Day is a good day. Tomorrow it's retrieving - if the stormy weather permits. I am pleased to wish all my readers a Merry Christmas. I hope everyone will have a good holiday with good times with family and friends. Although some of us have experienced many Christmases (in my case 76) there is still something special about that night. It may be that we old ones can no longer eat and drink as much or dance around the Christmas tree for hours as we could once. But we can enjoy the company of small and big. We can recall some of the many memories from Christmases we've had. Here's just one of them. My grandmother could not bear seeing anything being wasted. Therefore, she collected all the wrapping paper, smoothed it, folded it and saved it for the following year. There is nobody who does that anymore. The Santa to the left is someone I know well. Christmas is a time of traditions - with presents, Christmas tree, sweets, and food. Today I was reminded of a kind of tradition from my childhood. Rice porridge was to be boiled which tomorrow will undergo a change and turn into a very nice rice pudding with whipped cream, cherry sauce and almonds. I followed the process of boiling the rice from a safe place on a chair in the kitchen. Rice, milk and some other ingredients were poured into a big pot and brought to boil on the stove. When it began boiling Matron carried the pot - now wrapped in a blanket - into the bedroom and put it under a duvet where it cooked on without using electricity. In other words: The bed became a haybox. We went out to shop and an hour later the pot was lifted out from under the duvet and lo and behold, it was all finished, and a delicious rice porridge could be seen. 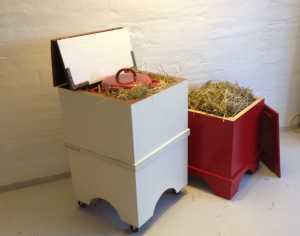 I remember that my mother used the same idea, only we had a proper haybox. It's smart - and saves electricity. And best of all. it will become rice pudding tomorrow. Who wants to sit for over an hour with open mouth while your jaw joints hurt and various dental equipment rush in and out of your mouth, drills, syringes, cotton swabs, cleaners, matrices and some other things that I do not know the names of? Not me - not me at all. Yet that was what I spent time with late afternoon today. Two older fillings were replaced. Not that it hurt, not at all but it's uncomfortable with the ever-open mouth. When I finally was allowed to close it I could barely do it and my lips looked like a flatfish, completely skewed because of two anesthetics. My mouth burst open with a bang when I saw the bill. This afternoon I spent some time looking through my hunting pictures from this year. 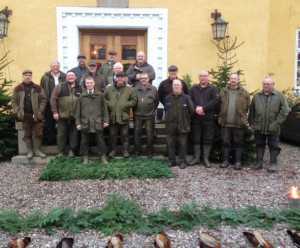 Firstly, I think that some of them are quite good, and secondly - and probably mainly - it is good to remember the hunting season which is about to end, and for my part will finish on Boxing Day with Sydney's last hunt - and maybe also mine. The old boy - that's Sydney - is worn out. But he enjoyed every second of it all. I like the image of a little break on the way. It's no masterpiece but everything breathes peace and relaxation. Also the dogs like it and stand, sit, or lie quietly around. The advantage of Labradors is that they are infinitely peaceful. We never have disagreements between them. They are trained to respect each other. I wish all people were the same. Matron and I drove to the recycling center today in a completely filled Toyota. It is almost frightening that two people in a relatively short time (about 1 month) can collect so much garbage. The car was filled from floor to ceiling and everything was squeezed thoroughly. It was, as always, especially used packaging, plastic, cardboard and paper. There was another sort, though. A floor lamp that stood in our living room for 20 years, had to go, too. I felt with it almost as with the Christmas tree in the Hans Christian Andersen fairy tale "The Fir Tree" that after Christmas ends in the ceiling only to be burned in the yard later. The lamp went from our cosy living room to the dumps. How sad. But dumps are indeed not created to bring joy, besides perhaps the joy of getting rid of all the waste. The season for worksheets from Matron has come. She will be working a lot. Everything on the leaflet should be taken care of while she is away. And there's no saving of ink. No fewer than 10 items that required a response from me were lined up today. Just look at the picture. Everything is duly ticked off as the jobs were finished. I did not understand why I had to empty the dishwasher twice (sections 8 and 10). For safety's sake, I put it all back into the machine the first time and emptied it once again. I dared not do otherwise. One should not be careless with Matron's orders. Grease stains op the paper just shows that I'm doing several things at the same time, for example. I eat in between. It's called "Multitasking". I was scolded today, pretty much - from early morning. Exhausted from yesterday's hunt I lay a little long in my bed and was finally up to go to the toilet and have a shower. It was 10 o'clock. The first activity was over and then I went in in for the shower. But Matron was there in front of the mirror. I mentioned I wanted a shower and went back to bed to play Word Feud. An hour later, the sweet lady came into the bedroom with a strict mine, "I thought you were going to have a bath. Why did you ask me to leave the bathroom when you do not get started?" I had no answer. That gave further reproaches such as, "annoying, provoking, unnecessarily slack" etc. That did it. I had my shower in no time. It is coming to an end. Today my old dog Sydney was on his penultimate retrieve. He has become somewhat stiff legged - and also quite "independent". It is as if the jogs around in his own little world when he retrieves a bird. There is certainly no reason why I should interfere. He does exactly as he wants - and it's not too fast. 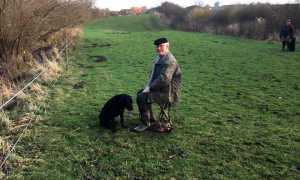 Virtually he makes all the errors a retriever can make on a hunt. 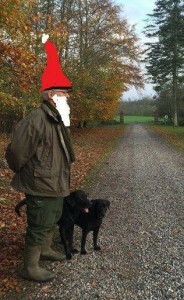 But still he picks up quite a few pheasants. Today he retrieved 25-30 pheasants in just one drive. So now we shall not notice him till Monday. He is sleeping it out. He's had a good life on innumereable shoots. One can easily see he enjoys himselv. But there's nothing to do. He cannot take it any more. He's become old. Maybe it's also time for me to stop. I suffer a lot when we're out there. I've also had a great time. Matron was up early. She was going to work. God bless her for it. It allows for holidays and pastries for tea. Strangely enough, I was not up but lay carefree in my bed waiting to hear the car being started and drive out of the garage which of course is just by the bedroom. It did not happen. Instead a sharp headmistress voice was heard, "GUNNAR. GUNNAR. Come out here immediately and close the hood." The time was 7.30. Crestfallen, in pajamas, morning robe, and wooden shoes I ran around the corner to the garage. Quite right. The hood stood open. I poured new windscreen washer fluid on yesterday and the detail of closing the hood must have slipped. I growled a little and promised to teach the sweet lady how to close a hood. It seemed she was not thrilled by that either. And then back to bed. 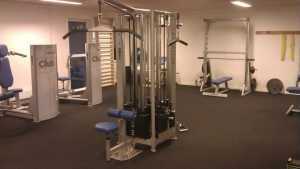 A few days ago I was at an introductory meeting at a fitness center in Aarhus, a health center. A good experience. Very friendly reception, thorough explanation of what will happen. A sweet nurse went through it all for me. She spoke so enthusiastically about it that I inevitably came to be looking very much forward to start. She promised that I will be physically strained to the limit but I'm so used to it on my bike and at home. The physical effort will be combined with teaching. So not only shall I bei fit and healthy (and slim) I shall also be wiser which last many will find it hard to believe. I was at a birthday party this afternoon. Unfortunately, the red wine lead me astray and bad mates brought me into trouble. If it was not for my iron strong moral it had ended wrongly, very wrongly. I could easily have been another example of the harmful effect of alcohol. Fortunately it did not happen, I fought back. However, I still wonder why I so often get dizzy when I am at a birthday party. Had my parents seen it they would have been appalled. I am flawless. Once a year, though, I make a mistake. I make it willfully so that others do not think I'm a robot. I chose today for my yearly mistake. After driving confusedly round in the city without being able to find a parking space I drove down a certain street which never before was a one way streeet. It is now. I couldn't do anything about that. After a few hundred meters a large van came towards us. The driver flung his arms and legs to show I was driving in the wrong direction. And there we stood, front against front. I did not give in for I could not possibly reverse the long way back whereas sour-face just had to reverse 5 meters. There we sat for some time. Finally, the fool gave up and reversed. I could drive past him to the accompaniment of his less polite words out of an open side window. What a vocabulary. I was deeply impressed. There's handball on TV at the moment, a lot of it, ladies' European Championship. Matron is wildly excited about it and watches as much as possible, nearly all. This afternoon it was Spain against Germany. A little while ago Serbia vs. the Netherlands. Right now, it's France vs Sweden. Tomorrow it all goes on with another 3 games. That means handball 4-5 hours each day. I'm not crazy about handball, do not like it at all. But it's good that my sweet wife enjoys it. I suffer in silence, and look forward until I conquer the screen next summer with all the big and small bike races. In a week it's over with handball, oh no. Then follows European Championship for men in January, followed by a tremendous amount of league matches from Denmark, Germany and France. It ends in June. From April bike racing will start. My goodness, it will be good. 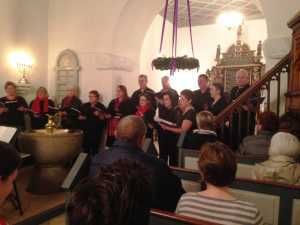 The reason is that Matron, Frederik and I were in Skorup Church to hear "The 9 readings". As a very important part were several songs sung by the church choir in which Anette and Peter are very keen participants. It's a few years since I last heard the choir and they are good. No doubt they were always good but now they are really good. One can even talk about a certain professionalism. But then agin the choir is lead by a professional. Sitting there in the church I got a great desire to be with, but it just won't go. My voice is in transition. As always, it was hard for my old body but as always I enjoyed being with dog handlers in the picture. 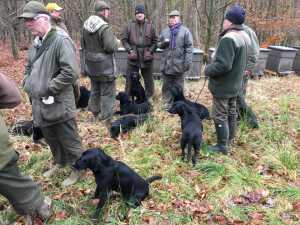 They are wonderful people whom I have known for many years and they really know how to handle a dog on a hunt. Their dogs are incredibly skilled. That's why we always get a good result. I wish my dog was just as good as theirs but now he is too old and has only 2 hunts left in his life. However, he has been just as good some time. So have I.
I did not believe my own eyes when I read in "Rococo News" about a postal initiative. It's called "Pick up your own mail". The idea is that sender calls receiver and says there is a letter or package waiting to be picked up. Then reciever walks or drives to sender and gets his mail. For this inconvenience, Danish Post offers a postage og 50% of the actual price. 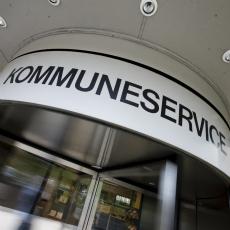 However, postage for letterswas raised to 13 kroners and for the smallest packages 102,50 kroners. 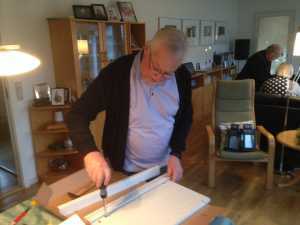 A representative from Danish Post described the idea as brilliant and explains that new stamps have been printed for the purpose. 50% of full postage. And some peoplke wonder why our postal service has red figures. I owe it to say that this "news" is 4 years old which only proves that another initiative from Danish Post never succeeded. 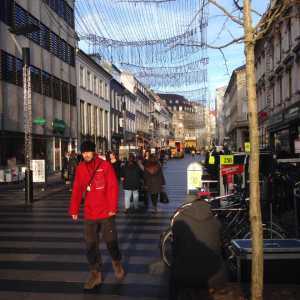 This morning Matron wanted to go to central Århus to see the Christmas decorations over the streets and in the shops. I was also interested so off we went. It's not every day we go in there. Last time we occasionally had to jump for street trams tinkling down the main street. Problem 1: We had to spend almost 3 quarters of an hour finding a parking space. Problem 2: The lights over the streets were lit but could not be seen since the sun shone too brightly. So it was not the greatest success. However we found a place for a good lunch. 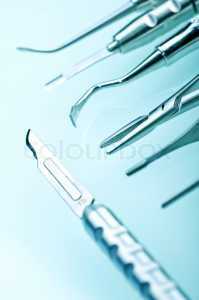 I was at the dentist today, check and teeth cleaning. The cleaning went fine. I love it. My teeth feel perfectly shiny and clean afterwards. I even enjoy having it done. The check was more questionable. Two fillings must be replaced. Common erosion. New appointment just before Christmas. By no means do I suffer from dental phobia and I have the world's sweetest dentist, Marianne. But I hate their bills. I really, really do. Furthermore they always arrive inconveniently and are sky high. 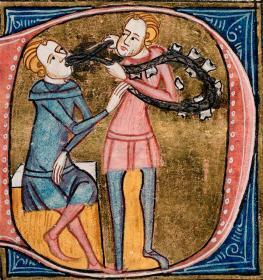 Luckily, no dentists wear sandals at this time of the year. If they did they would also steal with their toes. I was taken on today. Someone took the Mickey out of me. It was the otherwise very sweet lady, known as Matron. On the way home from shopping I confided to her that I was going home to clean up my workshop. She welcomed the proposal strongly since it is long overdue. As a return she would do the vacuum cleaning. I found it a good division of labor. I love division of labor. It's only fair. After returning home I immediately started in the workshop, toiled hard, finished, and went inside. Had she vacuumed? No. The sweet lady told she'd been busy with some e-mails. End result: I cleaned up the work shop and did the vacuum cleaning as well. My goodness, I'm so naive. We have a plum tree, a nice plum tree. Every year in September it delivers the most beautiful, dark and sweet plums you can imagine. 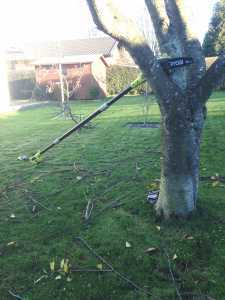 Fortunately, there is not much maintenance with a plum tree but once a year, the thin top branches must be cut down. They are 3 meters up. Today was the day I chose to do it. I Took out my chainsaw. It's 3 meters long. Sitting on a telescopic pole. Certainly a little heavy but it is somewhat easier to cut branches up in the heights than at the time I used a so-called 'hawk beak'. Of course I follow the latest trends. Who will come and pick up branches and take them to the dump? I do not mind making a waiting list. 1) To collect branches from my plumb tree and stack them? 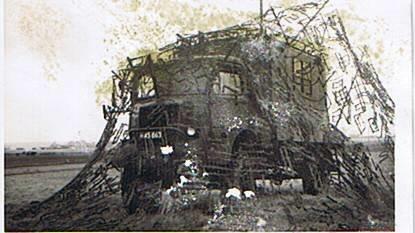 2) To crouch pumping caravan tires and take the spare wheel out and pump it? 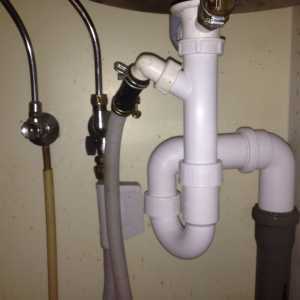 3) To sit on my knees and removing siphon trap and various pipes under the kitchen sink to clean them? When I finished number 2 I could not imagine harder tests today. But I was to become wiser. Lying on my knees to loosen the various curved pipes without being able to see anything is an ordeal for an old back and two old knees. Oh dear, how I groaned. And, of course, all threads were defective. So on Monday I shall order a plumber. He will be warmly welcomed - even though he is expensive. Little Frederik is here for the weekend. It gives life in the house - and also drama. He and I play "tickle-game". In all its simplicity he runs and if I catch him I may tickle him. Two problems: A: He has "holy" places where I must not tickle him. B: He runs so fast that I do not have an earthly chance to keep up. I did my very best which resulted in a dramatic fall. I stepped on a Lego brick and fell head first onto the floor. As you know, the nose is the most protruding point so it met the floor first. Then came the shoulder and hip. It hurt like h..... After having laid on the floor for some time I came up in my own, alternative way. It is not look very pretty but it takes a long time. Call from good friends on Mols at 13:30: "Come and have a cup of coffee." Good call. We love surprising invitations and went off at once. And it was very nice. We enjoyed the coffee, the tea, the cakes, and the Pepsi Diet. Life is too short to say no thanks to sudden invitations. The best of memories will recall that last Saturday I removed siphon, etc. under the kitchen sink and reassembled same. All under a lot of pain. Unfortunately, the result was not commensurate with the effort. The siphon still leaked and the drain still miserable. Clearly there was a stop in to the drainpipe. Therefore, we were happy when the plumber arrived about noon today and within an hour had cleaned pipes and changed the siphon. Just look at picture and see how nice and clean it is. The good man is running a one-man company and clearly was very busy. He had to answer the phone a couple of times. I told him that since he was so busy there was no hurry with the bill. August next year could be alright. He assumed, however, that it would be earlier than that.